Thanks to improved medical care, better pet foods and advances in veterinary treatments, dogs are enjoying longer, healthier lives. Even so, dogs can develop health issues, including cancer. These days it’s not uncommon to hear about pets being diagnosed with cancer. The stats on cancer in dogs show that about half of all dogs over 10 years old have a higher probability of developing cancer. However, cancer can be curable if caught early. While not all cancers can be cured, your pup’s life can be extended with treatments such as chemotherapy. A cancer diagnosis can be scary for pet parents, especially if their fur baby needs chemotherapy. We’ve put together some information to help you understand what chemotherapy is, how it can affect your dog and more. Lymphoma is the most common cancer in dogs—specifically, it’s a cancer that involves lymphocytes (white blood cells). This type of cancer may start out in a lymph node and then spread throughout the body via the lymphatic system, or it can remain localized. The lymph system is important for many reasons—it moves fluids and other substances around the body, helps the body fight infections and more. In lymphoma, cancer cells take over and destroy healthy tissue, often starting in the lymph nodes. However, this type of cancer can start anywhere in the body via the lymph system. As the disease progresses, the lymph nodes may swell and become hard. This is often the first symptom pet parents notice in their fur babies. The disease can then progress to affect the internal organs, especially the spleen, liver and bone marrow. Swelling in the lymph nodes is the most common sign you might find in your pup. Swelling could be in the nodes in your pup’s neck, chest, “armpits,” groin or behind the knees. It’s also possible your vet to notice these swollen areas during a regular physical exam. It’s important to note that not all dogs with swollen lymph nodes have lymphoma. Swollen lymph nodes can also be a sign of infections and autoimmune diseases. 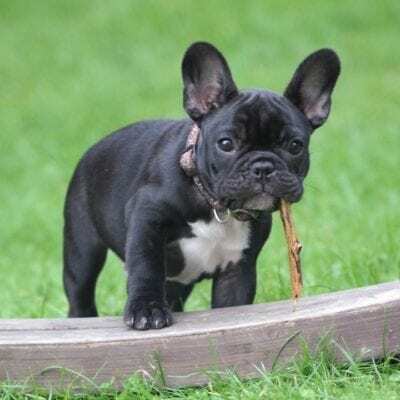 This is why you’ll need to get your pup to the vet as soon as possible—for a proper diagnosis and treatment of infections or other conditions. If you find swollen lymph nodes or your fur baby’s having other unusual symptoms, be sure to get an appointment with your vet as soon as possible. The earlier cancer is treated, the better the outcome for your pup. Your vet will perform a complete physical exam, including checking for swollen nodes and other symptoms. He may want to also run some tests, including a fine needle aspirate. This is a test where the vet inserts a fine needle into an enlarged lymph node or organ to remove cells. The cells are then examined under a microscope to see if they’re cancerous or not. If the results are inconclusive, your vet may decide to do a biopsy. A biopsy generally involves a small surgery to remove tissue for examination. The tissue will be examined under a microscope for signs of lymphoma. In addition to these tests, your vet may also decide to run some blood tests. The blood tests included for a lymphoma exam typically include a complete blood cell count and a serum biochemistry. The blood cell count will take a look at your dog’s blood cells to see if they show signs of disease, count them, etc. The second test is used to check your dog’s internal organs, to see if they’re working correctly. Additional tests may be involved if your vet makes a definitive diagnosis of lymphoma, including x-rays, ultrasound, and more. Tests will also be run to determine the type of lymphoma. Once the vet has this information, they’ll be able to come up with the right treatment plan for your fur baby’s cancer. Treatment will depend on diagnosis of the type of lymphoma your pup has. Chemotherapy is generally the most common treatment; however, a combination of chemo, radiation and surgery may be necessary, depending on the form of cancer and where it’s located in the body. When we hear that chemotherapy is needed for our precious canine, it can be scary, to say the least. You may know human friends or family who have dealt with chemo and the affects it can have. However, the good news is that dogs generally tolerate chemotherapy better than humans. Dogs may suffer a lack of appetite, vomiting, and diarrhea, but they rarely lose their hair. Certain breeds are more prone to losing some hair during chemotherapy, including Poodles, Old English Sheepdogs and Bichon Frise. Almost any dog with curly hair (similar to these breeds) could lose some hair. The hair eventually comes back and may be a slightly different texture and/or color. Even so, most dogs tolerate chemotherapy much better than their humans. If your pup’s been diagnosed with some form of lymphoma, you’ll definitely want to learn about the success rates for dog chemotherapy. This will depend on the type of lymphoma and how advanced it is when diagnosed. Generally, the earlier the cancer is detected, you’ll have a longer time to spend with your precious pup after diagnosis. There are a couple of terms you’ll need to be familiar with, at this point. They are “cured” and “remission.” When a dog is cured of any disease, this means the disease is no longer causing problems or symptoms. Tests will show that the disease is gone. The term remission means that the cancer may not be active or apparent in the body, but may still be present. Your dog may appear completely healthy; however, the cancer could still be somewhere, dormant, in his body. 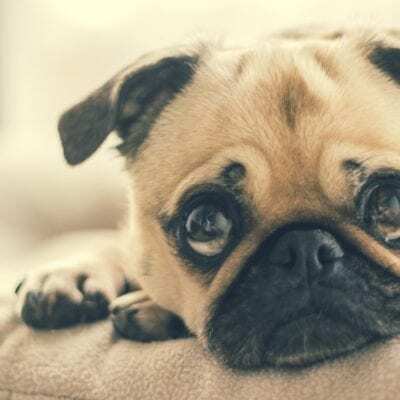 Now, can chemotherapy cure a dog that has lymphoma? The short answer is no; chemo generally does not cure the cancer. You never know, but the odds are that your pup will not be cured. However, chemo treatment can extend the life of your dog, while improving quality of life after a cancer diagnosis. If a dog’s not treated after diagnosis of lymphoma, they have a life expectancy of between 4-6 weeks. Some dogs may succumb earlier, while others may live longer. This is only an average. 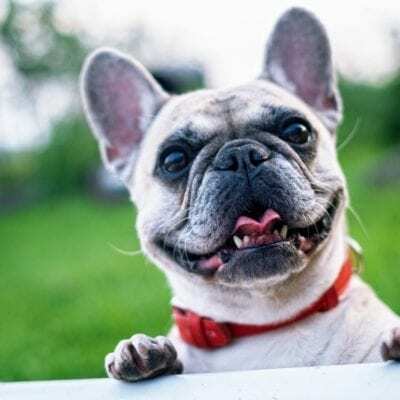 With chemotherapy treatment, your dog could achieve remission; remission generally lasts between 8-9 months, with approximately one more year of life from the diagnosis. Of course, this is also an average—it all depends on the type of lymphoma, your dog’s age and overall health. Is Dog Chemotherapy Worth It? The goal of chemotherapy in pets is not the same as it for humans. With us, the goal is generally to go after a cure—to completely rid the body of cancer. However, with pets, the goal is quite different. The goal of chemo in our pets is to give them a little bit longer life and to make them more comfortable. Sometimes treatment can bring about a cure, but the general goal is life extension and improved quality of life. The issue here is that we assume animals are not able to understand uncomfortable treatments. We don’t want to put them through the suffering and pain involved. This is why the goal is different when it comes to chemotherapy in dogs and other pets vs. chemo treatments in their humans. How do you decide if chemo is worth it for your dog? The two most important facts to consider are expected lifespan and quality of life. Will treatment give you and your fur baby more time together? During that time, will your canine companion be able to enjoy his life and be comfortable? This is where you’ll need to have a very frank discussion with your vet or veterinary oncologist (a vet who specializes in treating cancer in animals). 1). How will my dog respond to this treatment? 2). What is my dog’s life expectancy without treatment vs. with treatment? 3). What type of side effects could my dog experience with chemotherapy? How severe could these side effects be? What are the signs and symptoms I should watch for? 4). How often will my dog need treatments? The answers to these questions may help you determine if chemotherapy is a good option for your fur baby or not. How to Make a Dog with Lymphoma Comfortable? If you choose to go the chemotherapy route or not, then your next questions may have to do with how to care for your dog and keep him comfortable after diagnosis. Most veterinarians will offer help with what’s called palliative pet care. This type of care is meant to keep your fur baby comfortable during his last days. Here, you’ll have to determine what you’re able to do as far the care you can provide at home. 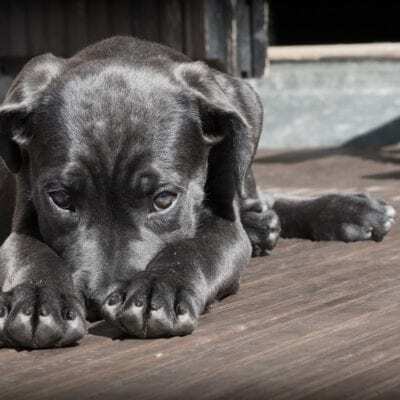 Sometimes it may be a matter of cost, or you’re just not able to mentally and emotionally deal with the treatments your precious pup will need at life’s end. Only you can determine what’s right for you and your dog. Your vet will have the best advice on the palliative care your dog may require. They’ll offer medications and other methods to keep your fur baby comfortable. Don’t be afraid to ask questions—don’t be afraid to say you’re not able to do this for emotional reasons or even financial reasons. If finances are a problem, your vet may have a program that can help with the costs. Don’t hesitate to ask. In addition, if you live in a large urban area, there may be pet hospice care available. Pet hospice care generally involves medical staff coming to your home to administer medications and other tasks. This way, your pet can stay comfortable at home, while hospice caregivers perform tasks that may be difficult for you. They’ll also stay in touch with your vet and keep him informed of your pet’s condition. At some point you may need to consider when it’s time to let your precious fur baby go. Euthanizing a pet is a heart-wrenching decision for many pet parents. They also struggle with wondering how they’ll know when it’s time. Again, your vet will be a great help when it comes to decision-making. Things that you’ll both need to consider are your pet’s quality of life—is he suffering so much that he’s miserable and unable to enjoy life? We have to remember that putting down a pet that’s suffering isn’t cruel—rather, it’s just the opposite. At this point, you’re showing great care, love and compassion for your dog when you don’t want him to suffer any further. Many pet parents are not sure they’ll know when the time has come; but most people generally know when their pet can’t go on. When it comes to your precious fur baby, consider his life expectancy, quality of life, and whether or not he’s suffering. The answers to these questions will guide you and let you know when it’s time to put your precious fur baby down. It won’t be easy, but you’ll be giving your pet the best gift of release from suffering and pain. We hope this guide will be helpful if you’re dealing with a pet that may need chemotherapy. If you have any questions, please ask your veterinarian—they’ll be the best authority when it comes to exactly what your pet needs. We wish you and your fur baby all the best. Julie is a graduate of the University of North Carolina, Wilmington, where she studied Animal science. Though contrary to the opinion of her parents she was meant to study pharmacy, but she was in love with animals especially cats. Julie currently works in an animal research institute (NGO) in California and loves spending quality time with her little cat. She has the passion for making research about animals, how they survive, their way of life among others and publishes it. Julie is also happily married with two kids. Huh? Cancer in dogs? That’s new for me. My dog has shown some of these signs recently but I didn’t think much about it. I don’t really know right now. Well, not to scare you but I’ll suggest you go see the veterinary doctor as soon as you as you can to check your dog and confirm that all is well. It won’t be nice if delayed and it later turns out to be something. This book about helping your dog fight cancer by Laurie really helped me when I had a dog with cancer. The book is really empowering and teaches a lot about handling the situation. If you have a dog in this situation, I’ll recommend you pick those book and you’ll be glad. Yeah. It is an amazing book and has really helped a lot of dog owners in that journey. It shows a lot you can do for you both to enjoy that time and still stay inspired and all. It’s really nice. Really?? My old dog was diagnosed with cancer and it’s really hard for me but I just have to stay strong for the both of us as we just have to go through it together so one won’t crlf alone without the other.